Alternatively, it can be used in Bi-Wire mode so that it can connect any of two amplifiers to a pair of speakers capable of accepting bi-wiring. 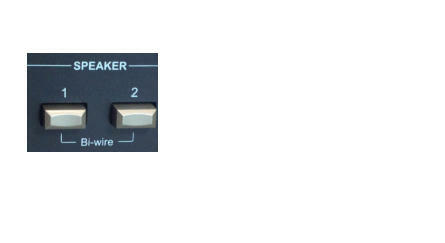 The sources and outputs can be selected via two sets of push buttons on the front of the box. 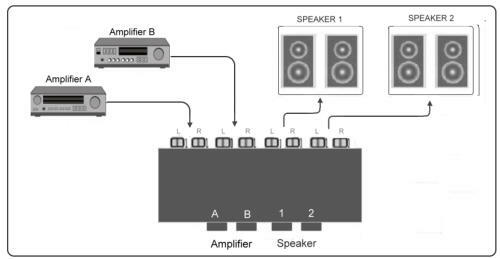 Speakers and amplifiers connection are via standard banana plugs or spade terminals. Ideal for multiple audio sources such as a stereo amplifier and AV amplifier. 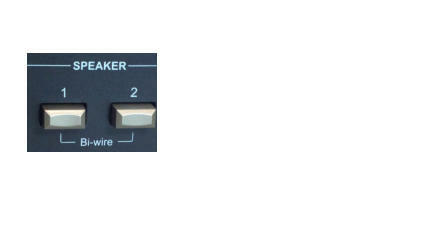 Designed to provide distortion free audio from your audio amplifier or Home Theatre System, to your speakers. The TC-7220 MKII is the only audio router on the market that includes a Bi- Wire option The clear and simple bi-wiring arrangement is also a world's first, giving you a chance to try out this mode if your speakers are provided with Bi-Wire input terminals. amplifiers and two pairs of speakers. 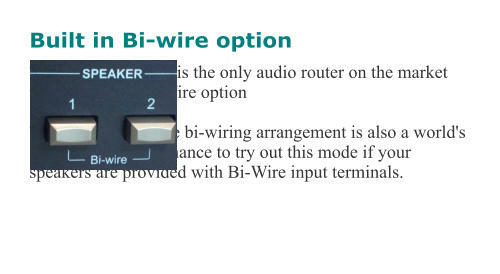 The TC-7220 MKII is the only audio router on the market that includes a Bi-Wire option The clear and simple bi-wiring arrangement is also a world's first, giving you a chance to try out this mode if your speakers are provided with Bi-Wire input terminals.